There is something to be said about exterior paint colors of the past. This is especially true if you are lucky enough to own a house of a certain, definable architectural style—Victorian, Cape Cod, Craftsman, etc. If you have the help of a designer—and most of the professional or contractor paint shops offer such an expert—then ask him or her to find paint samples from the era in which your home was built. Whatever you decide will be your exterior paint colors, but try to consider what will work in your neighborhood. In other words, look at the whole picture—think of your neighborhood as fabric and your house as one thread in that fabric. You may be limited further by Home Owners' Association covenants, so be sure to look into those covenants as well. By and large, being a good neighbor is something you ought to factor in. Will the colors you are leaning towards fit in the overall feel of the neighborhood? Can you manage to be unique without being the eyesore? Think not just of the neighborhood whole, but think of your house's whole. What color is your roof? Is it slate, aluminum, copper, cedar shakes? Though you don't need to match your paint to your shingles, the colors should fit together somehow. Another consideration is the landscaping and natural elements around the house. Are you in a wooded area? Is there a lake nearby? These can suggest color families that can help you decide your exterior paint colors. If you have a favorite quilt on display, or perhaps a piece of fine china, that would make a great design motif for exterior paint colors. Don't be afraid to pull the colors for your home from that piece and translate it onto your exterior. This adds a sense of harmony and integrity in design and can be as subtle or obvious as you'd like. All you're after is an inspiration--not demonstrating to the outside world the connection between a quilt and exterior paint. It's a personal thing: if the colors on this quilt or that plate caught your eye, then they'd likely work well for you on your home. White House: If it's good enough for our leaders, it's good enough for your house. With the right complementary touches—eaves, window casing, door trim, etc.—white can be a fantastic exterior paint color option. Don't think of it as a last resort or a default color; white is not a non-choice. White has its stately appeal. Bonus: Did you know that if your home is a bit smaller than neighboring homes, white tends to make homes look larger than life. It will also last longer under the harsh solar glare since it repels harmful UV rays better than other colors. Darker colors are great for drawing the eye to architectural details you don't want to be missed. If you have an archway or trim, or any particular feature you want to be highlighted, draw attention with darker colors. Darker colors make things appear a bit smaller than they are, and are a great choice for recessed panels. If you have features that protrude from the wall surface, highlight those with lighter colors as they will stand out more against the darker shade. But be careful if you use darker colors as your field exterior paint color. In that case, be sure to use a higher sheen to ward off UV damage. Darker colors will fade quicker otherwise. 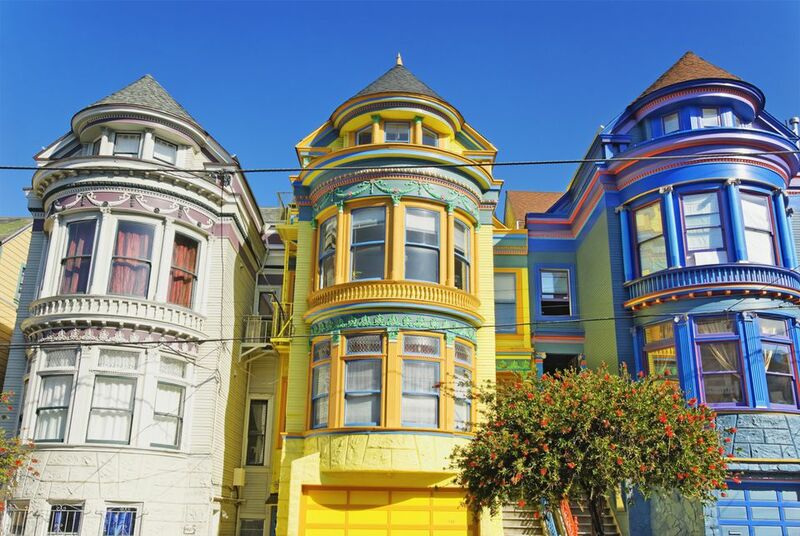 If you have had the privilege of living near classic, Victorian homes–often called Painted Ladies–or even if you have visited San Francisco, notice how many colors the designers used. Sometimes you'll see up to 8 different colors and that's because they have so much architectural interest. The number of colors really depends on the simplicity or complexity of your home. Adding too many colors to a home that's really designed to have a maximum of 3 or 4 colors will make the home look garish, and the exterior paint colors will come off as garish. Look for homes with similar architecture, hopefully by the same builder, and see what others have successfully done. The right home can have as many as 10 colors, but this requires the keen eye of a professional designer to make this work. Tip: Start out conservatively, then add more if the project requires it. At the very least, you will need to pick up a handy paint tool commonly called a color wheel or color fan. Ask your dealer if they can loan you a fan, or if you can take some samples once you think you've decided. Most professional shops have handy pint-size samplers available for a few dollars that you can take home and test on your exterior. 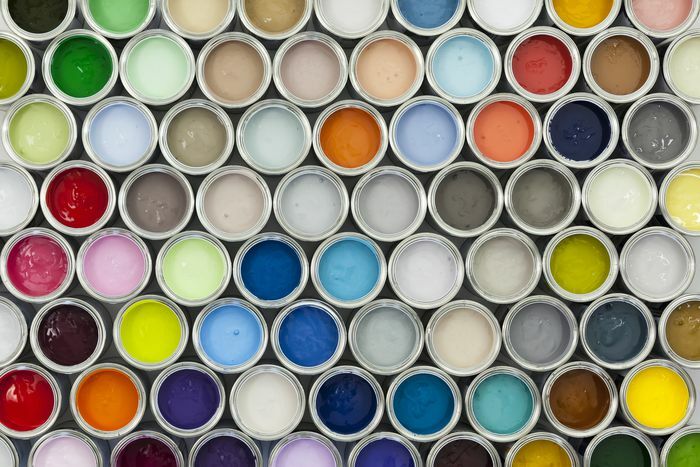 Paint chips from the paint section are great to help you decide roughly what you're after. Even better, get an actual wet sample painted on your home, even if you are the type to be sure of what you want. Exterior paint colors look much different in person than they do printed on handy pieces of cardboard. At different times of the day, the paint will take on a different hue or perhaps look a bit lighter or darker than you had hoped.